Our team of teachers, therapists, counselors, and administrators helps our lower school students discover their strengths, ignite their intellectual curiosity, and foster their passions. From the moment students enter our lower school, they know they belong. The lower school building in the Cobble Hill section of Brooklyn features spacious, light-filled classrooms equipped with resources including interactive and assistive technologies to support students with a wide range of learning needs. On any given day, students can be found solving math problems on interactive white boards, building electrical circuits in science class, reading a biography of Jackie Robinson, singing in harmony, or creating clay animals. We cultivate a strong sense of self-advocacy. 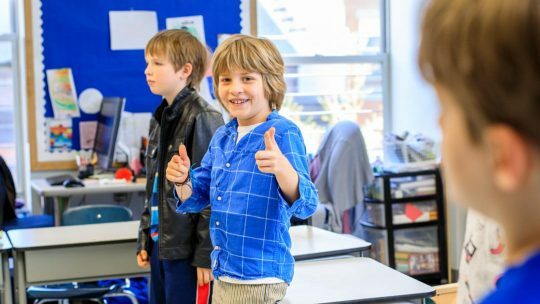 The entire lower school community gathers for Silent Meeting twice a week, where students reflect on a query and express their thoughts if they so choose. A head teacher and assistant teacher use language modifications and a multisensory, hands-on approach to teaching. 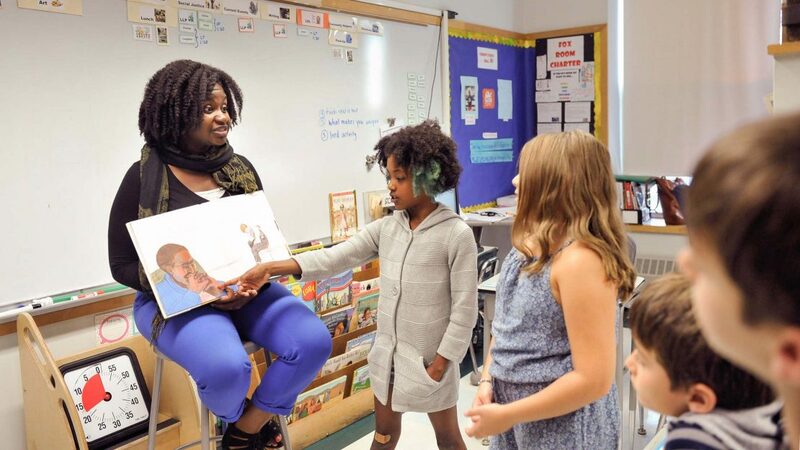 Students become comfortable making the transition from their classrooms to small-group instruction for reading and math, where they are grouped according to their abilities and learning styles. Students also receive instruction in disciplines including writing, science, social studies, art, library, blocks, music, social/emotional learning, current events, handwriting, and physical education. In addition, the youngest students have a Block Building period and the oldest students take Spanish. We celebrate every student’s individual achievements. 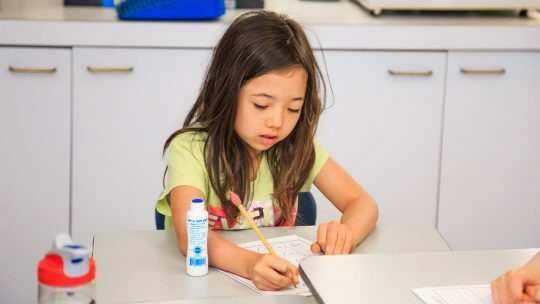 As students advance through the lower school, they acquire a growing sense of themselves as learners and develop skills to manage their time, organize their school supplies, and complete long-term assignments. Our oldest students are prepared to transition to our middle school or to a mainstream school, if appropriate. We are a respectful and welcoming community. Students gather regularly for activities with other classes; they especially enjoy all-school gatherings with their buddy classes in the middle or upper schools. The lower school students and teachers sit together for Silent Meeting twice a week, where students reflect on a query and express their thoughts if they so choose. Students are enthusiastic participants in community service projects and school-wide drives and fundraisers for service organizations. We are building global citizens, with an awareness of the issues facing our world and an understanding of their place in it.